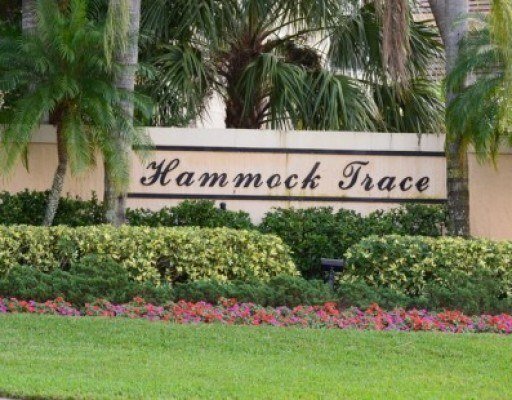 Hammock Trace is a small community in the heart of Jupiter, just south of Indiantown Road, off S Pennock Lane. The neighborhood features 50 Mediterranean inspired, single family homes built between 1994 and 1996. Homes in Hammock Trace feature open floor plans and three to five bedrooms with about 2,000 to 3,000 square feet of living space. The neighborhood surrounds a pretty lake and features a playground for the kids. The community's convenient location is close to many different dining and shopping options and is a short drive away from the beach. Children who live in Hammock Trace are zoned for A rated schools.